The autopsy is not performed merely to establish the cause of death. It is also of enormous importance in helping define the course of diseases and in evaluating the effectiveness of new therapies. A careful autopsy is the very best quality control instrument in the practice of medicine, and the autopsy X-ray or postmortem xray plays an important part in the entire process. Forensic radiology becomes crucial in investigative autopsies when x-rays can indicate whether there was unusual trauma to any part of the body, beyond what the external physical examination of a body can reveal. Postmortem imaging in general and postmortem x-ray in particular have become so powerful and widespread that many argue that the traditional autopsy is now rarely needed to determine the cause of death. National autopsy data seem to clearly reflect this reality. In 1950 nearly half of all patients who died in hospitals were autopsied. Now the figure has dropped to about 20%. These statistics in fact underscore the great importance of autopsy x-ray. In many cases, the forensic radiography or postmortem x-ray is the component that sheds crucial light on the autopsy findings. Quite often traditional autopsy methods indicate one cause of death, only for the autopsy x-rays to point to something else. 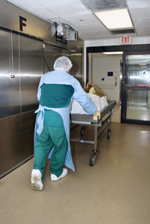 Several studies have shown that in about 25% of autopsied cases, the post-mortem findings do not agree with the major clinical diagnoses made while the patient was alive. Thus, without verification by autopsy and postmortem imaging, the information on the death certificate - and, consequently, national disease statistics - are only informed guesses. By using our mobile autopsy x-ray services hospitals and other medical facilities can save thousands of dollars in reduced overhead while significantly increasing the quality of the results. 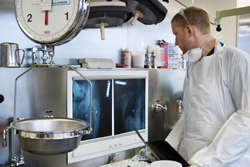 Our mobile forensic radiology services are performed promptly, on demand. Attorneys and legal service offices specialized in personal injury litigation, medical malpractice and workers compensation cases can rely on our autopsy x-ray services in their case preparation, jury trials, depositions, and settlement disputes. Thank you for visiting lcwXRAY.com. Our board-certified, registered technologists and support staff are ready to work hard to win and maintain your loyalty. 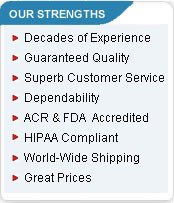 You can truly count on our commitment to excellence. Mobile mammography, mobile diagnostics, and mobile xray for sports team throughout the Mid-Atlantic region: Pennsylvania - PA, New Jersey- NJ, Delaware -DE, Maryland - MD, and West Virginia – WV. Also included for the Eastern US region are: mobile x-ray , diagnostic mammography, mobile mammogram, mobile mammography unit, game-day mobile diagnostic, mobile x-ray for NFL games and NBA –Eagles, 76ers.